Brightly colored tents were sprawled across Hardesty Park last Saturday, each housing activities for dogs and their owners, like art projects, games, a ball pit and even competitive eating. 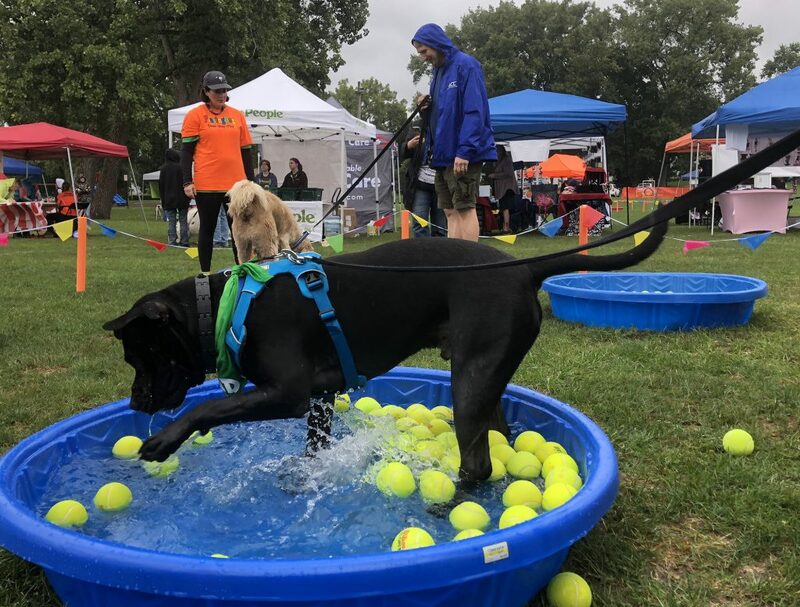 Despite the rain, there was no shortage of dogs or people in attendance to the PlayingDog event, which raised funds for the local nonprofit RunningDog. The organization comprises a large team of volunteers who run with local shelter dogs to help make them more adoptable. At the event, one familiar face was welcomed by many of the volunteers, a black dog named Caleb. Walking through the tents, “Hey Caleb!” was a common greeting heard by many. His owner, Michelle, said she met Caleb through friends who volunteered for RunningDog. Caleb was a former shelter dog that RunningDog served, and now he has a loving home. Although Caleb got to see all of his old pals, he wasn’t the only one who had a big day. All dogs in attendance were spoiled with treats and games, including the Corgi I brought, named Cooper. Armed with his striped bow tie, Cooper was ready to take on all the challenges of the day. While I’m sure Cooper was just expecting to go on a simple walk that day, he got much more than he bargained for. Starting with the business and nonprofit tents, Cooper got a treat at almost every booth we stopped at. He began to sniff around each tent, hoping to find his next meal, and would sit and look up at people with those big puppy dog eyes. After purchasing tickets, and Cooper having already been properly pampered, we began the games. The first game Cooper tried was bobbing for tennis balls. He turned out to not be a fan of the water, and the game ended up being more like barking for tennis balls. After refusing to get his paws wet, the volunteer gave him a tennis ball anyway, and he carried it around all day long. Next was the puppoccinos, a cup full of whipped cream that Cooper devoured in seconds. Cooper also played hide and seek and successfully made his way through a maze, gobbling up treats the whole way. 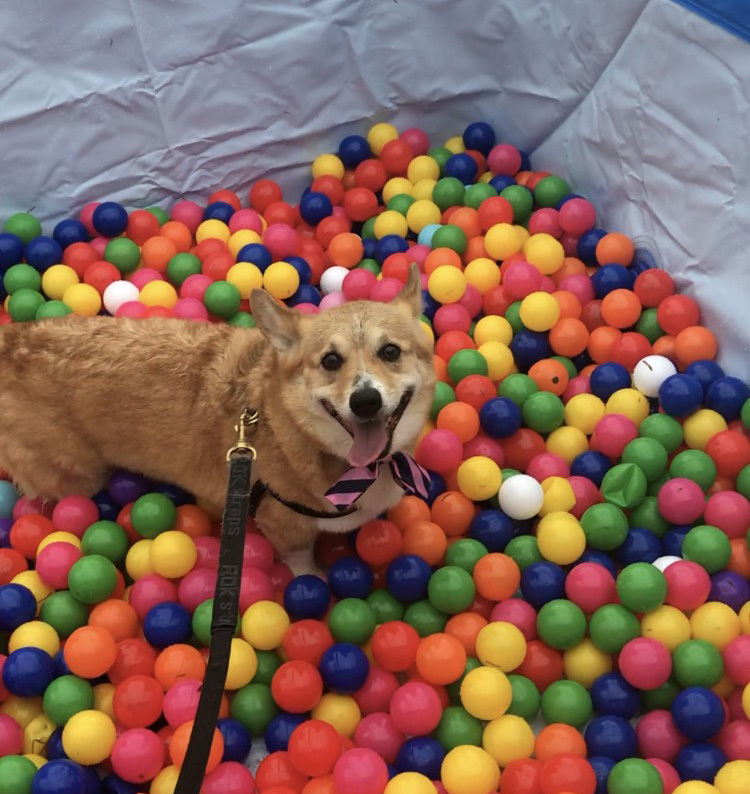 The last event Cooper participated in was the ball pit. After being lowered into the pit, his short legs preventing him from jumping in on his own, and he ran through the pit with a smile on his face. 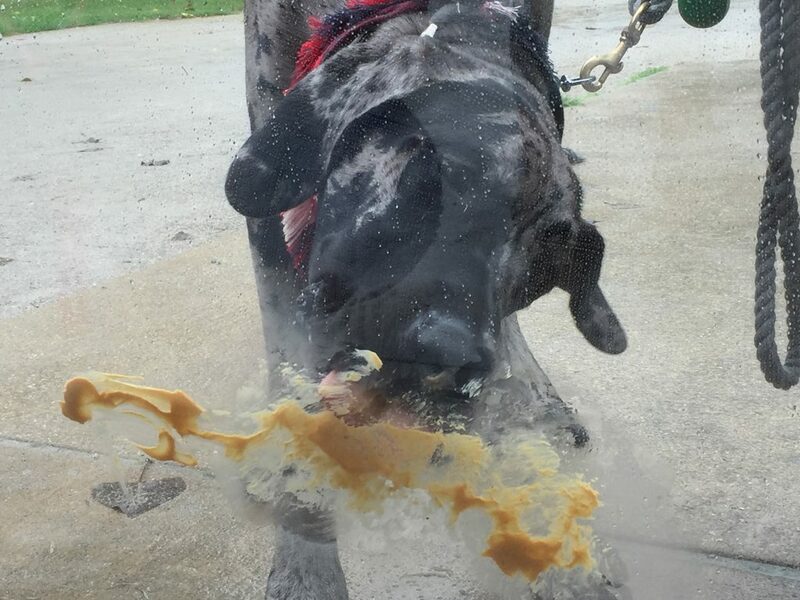 Volunteers threw balls up in the air, which he either caught in his mouth or hit up in the air with his nose. 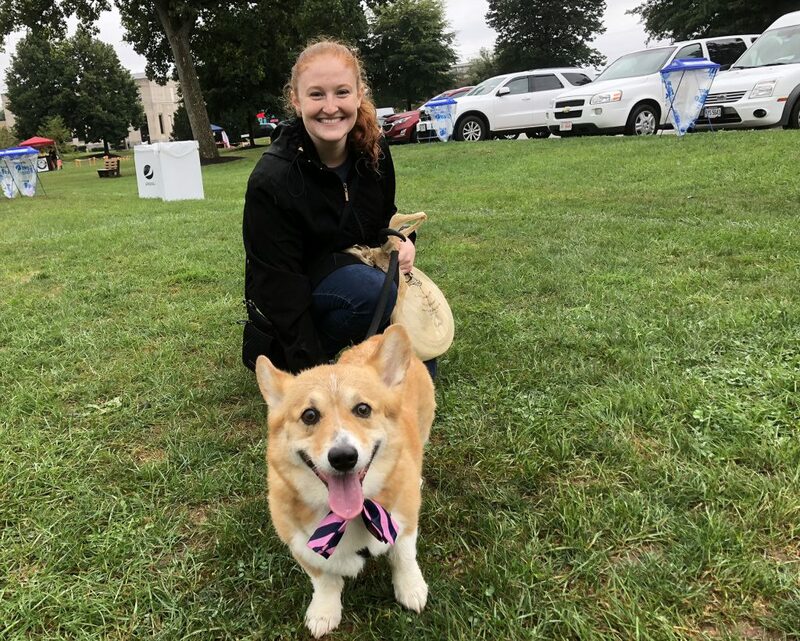 Cooper the corgi, like many dogs, left the park happy and with a full belly of treats. His day of pampering had come to an end, but luckily he got to go home to a loving home and family. It is RunningDog’s mission to help other dogs receive the same love and care who haven’t yet gotten their chance at a forever home.